Residential carpentry is a challenging career because of the new building products, new styles, new tools and new technology which go into today’s housing industry. 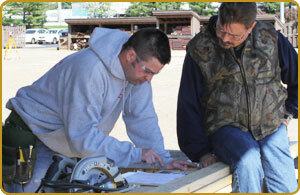 Housing contractors are always seeking good residential carpenters. Specialized training keeps these specialty craft workers at the top of their game. 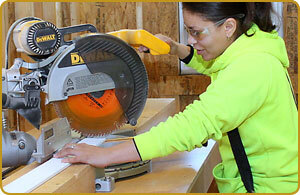 Residential carpenters build homes, apartments, and condos. They assemble and erect the framework of residences, or build partitions, install the flooring and do much of the finish work. Your training will get you to the point of being a sought-after residential carpenter who can complete all of these tasks expertly and efficiently.